Since your website will support large amount of users Open Atrium provides you with a convenient way to manage all of them. 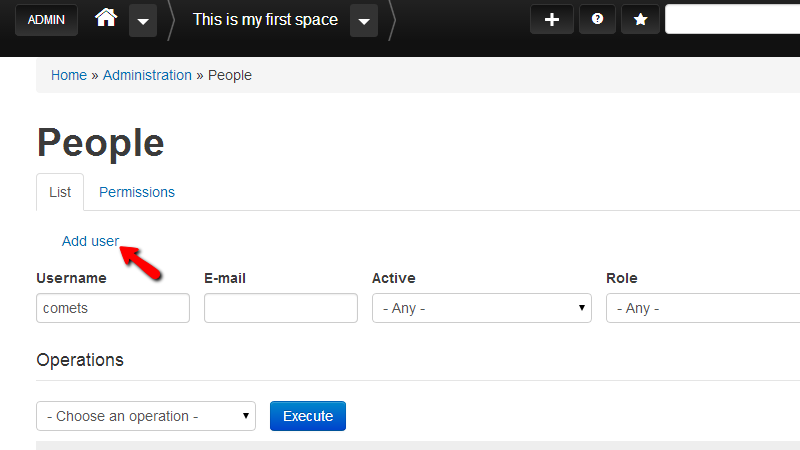 In this tutorial we are going to show you how to manage the users of your Open Atrium website. 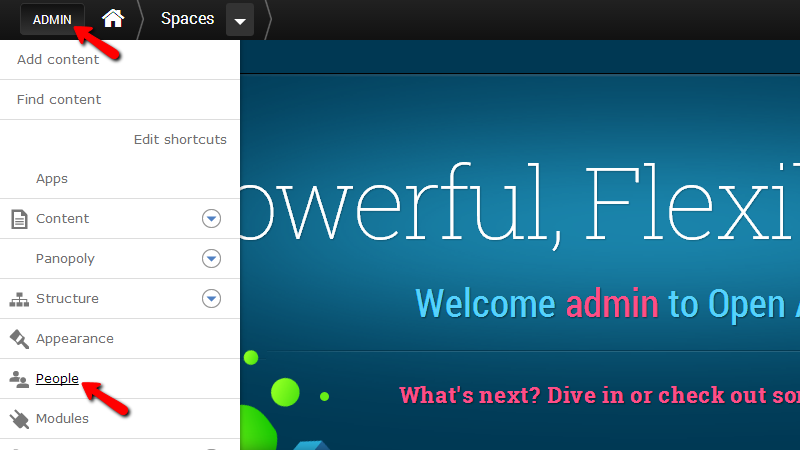 In order to access the users management page you should navigate to Admin > People. There you will be able to notice how the page is separate on two horizontal sections. The first section will provide you with the option to add a new user to your website and also to search within all of the users added to your website. In order to add a new user to your website you will need to click on the “Add user” button right at the top of the page. Then you will be redirected to the page where you will be able to add new users to your website by simply filling the required fields for the new user. On this page you will also be able to set a role for the newly added user. 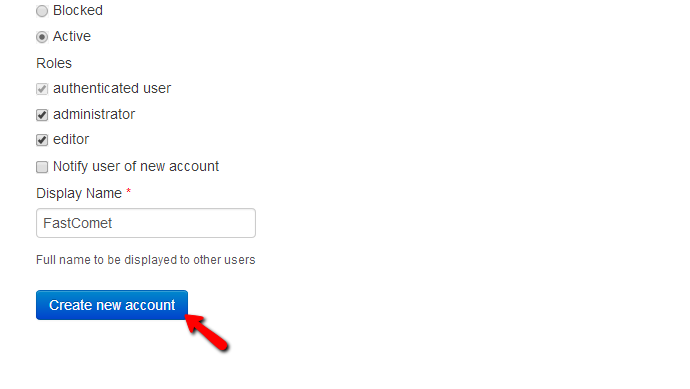 Once you are ready please click on the “Create new account” button so you can be able to create the user’s account. Now that you know how to create a user we will show you how to search within the registered users. If you go back to the “People” page you will notice how right below the “Add user” link there are few fields which will allow you to search for users. The search criteria provided there is “Username”, “E-mail”, “Active” and “Role”. By manipulating the values of these files and by clicking on the “Apply” button next to these fields you will be able to filter the users in order to find the one you are searching for. The found users will be displayed in the “Operations” section table view positioned below this search list and there you will be able to either edit the users or cancel their accounts. The most commonly user operations will be listed right after every user – “Edit” and “Cancel account” but if you would like to perform some other operation to multiple users you will need to simply tick the checkbox before the name of every user and then from the “- Choose an operation -” dropdown to select the operation you would like to perform with the selected users. If you would like to manage the permissions for the different type of users you should scroll back to the top of the page and click on the “Permissions” tab where you will be presented with large amount of permissions which you should be able to configure based on your personal needs. Congratulations! 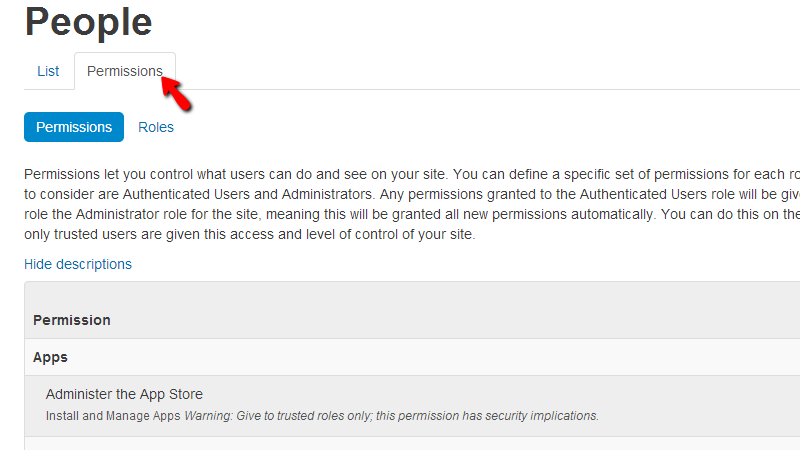 You now know how to fully manage the users on your website!